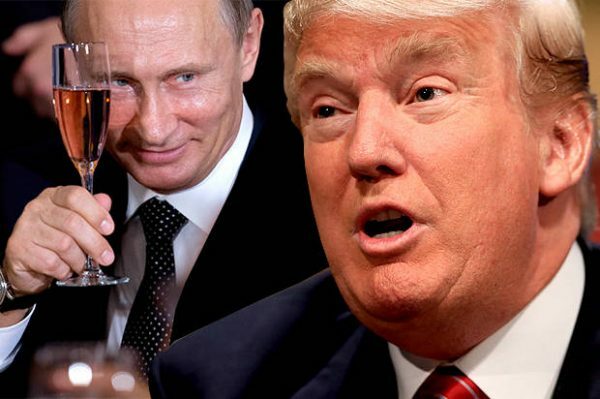 Fed up with President Trump’s continued bumbling incompetence, White House staff have invited Russian President Vladimir Putin to move in and “show Donald how it’s done,” starting early next week. Donald Trump reportedly loves the idea, and is “excited to show Vlad around his Mar-a-Lago golf course.” Told that is not the “White House” Putin will be staying in, however, Trump was said to have started sulking and binge-watching Fox News. Meanwhile, Republican leaders in Congress are breathing a big sigh of relief. “Finally, someone who knows what they’re doing!” said Senate Majority Leader and sad cartoon turtle stand-in Mitch McDonnell. “As I’ve said many times, Mr Trump is not a terrible president, he’s just new,” added Republican Speaker of the House and extremely patient presidential wannabee and non-wave maker Paul Ryan. “It’s like hiring a guy off the street as your plumber. You don’t berate him for flooding the house on his first attempt, do you? No, you sigh, smile, and hand him another wrench. Am I right? “Believe me, we can use all the help we can get!” added Mr Ryan, his perpetual smug grin widening slightly. Steve Bannon, who somehow is still secretly ensconced in the White House — though no one has seen or heard from him in months — emerged from under a rock at a Rose Garden press conference to say that Mr Putin will be able to teach Trump many things. Democrats, with thumbs a-twiddling faster and more nervously than ever, worried that Mr Putin might never leave, once embedded in the White House.